As readers know, the subpoenas became the quick subject of national news, rising up through the Conservative blogosphere, and landing major fodder for every media outlet from Fox News to Time magazine. And yes of course, Texas Leftist was also reeled in hook, line and sinker. Mayor Parker: No, we wouldn’t have. They knew what we wanted. […] There was nothing inappropriate with their request, but it was worded in a way that allowed misinterpretation. But no, we wouldn’t have weighed in if it hadn’t been brought to our attention. Attorney Feldman also commented that the other side broke protocol in an effort to gain press attention. Feldman: In the normal discovery process… if the other side has a problem your discovery request, before you file a motion to quash, you are supposed to confer about the issue. Had they done that in this case… they could have told us they had an issue with this request, and we would’ve agreed. But they decided to make it a media circus. From watching the press conference, it seems pretty clear that the issue has caused a fair amount of stress for the Mayor’s office, due to the heinous amount of hate mail it has likely generated. Parker was very direct with her responses, and probably just wants the saga to be over. In the end though, it is much better that the City revise and clarify the subpoenas so as not to mislead people assuming sinister intentions. Firestorm aside, the most important aspect of these cases is yet to come. The actual trial to determine if there will ever be a HERO referendum takes place in January. 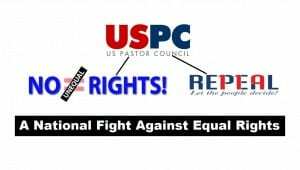 Just remember that as was seen this week, the Houston Equal Rights Ordinance is still needed, and in fact laws like it need to be expanded to citizens across the state. Kudos to the Mayor and the City Attorney on fulfilling a promise they made earlier in the week. For the sake of all Houstonians, let’s try to move forward from this misstep. “We thought he was joking until he actually pulled over,” Player said. “We gave each other a kiss and he told us to get out of the car,” Player said. “The sad reality is that it is completely legal,” said GLBT community advocate Noel Freeman. Freeman says in the last six months, he’s heard 4 other similar stories: gay couples getting kicked out of Yellow Cab taxis, for being affectionate. 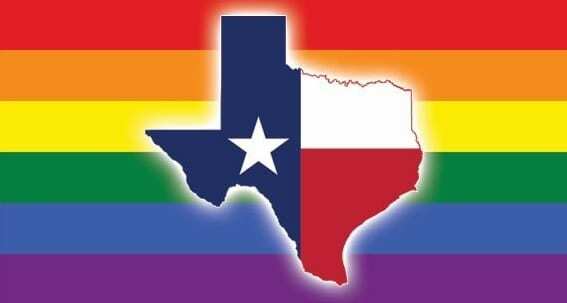 “There are no laws in the state of Texas that protect people from discrimination in public accommodations like cabs. So someone can be kicked out of a cab because they’re gay, black, because they’re a woman,” Freeman said. The whole incident serves as a stark reminder why laws like the Houston Equal Rights Ordinance are so important. Were the HERO law in effect today, people like Travis Player and Andres Orozco would have a direct local channel to file a complaint against that cab driver for discrimination within public accommodations. Changing the law also decreases the incidents of discrimination because people know it’s against the law to discriminate, and they know that doing so could result in them being fined or losing their position. Yet forces in the city of Houston are still fighting tooth and nail to destroy HERO, based on erroneous information. 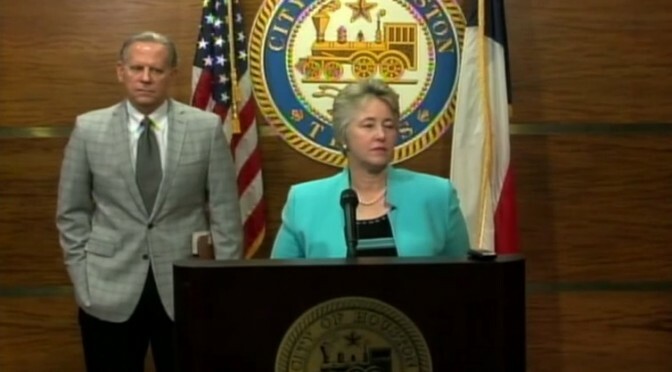 For this couple’s sake, and all the other citizens of Houston, let’s hope they do not prevail. 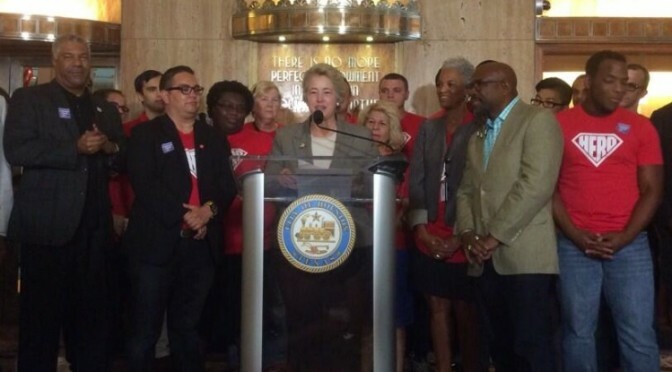 This November, Annise Parker and none of the City Council members that passed the Houston Equal Rights Ordinance are on the ballot. But if you care about equality throughout the state of Texas, make sure to vote for pro-equality candidates like Leticia Van de Putte, Wendy Davis, David Rosen and others. The only way to protect all Texans from discriminatory incidents like this one is to put people in office that care about ALL Texans. 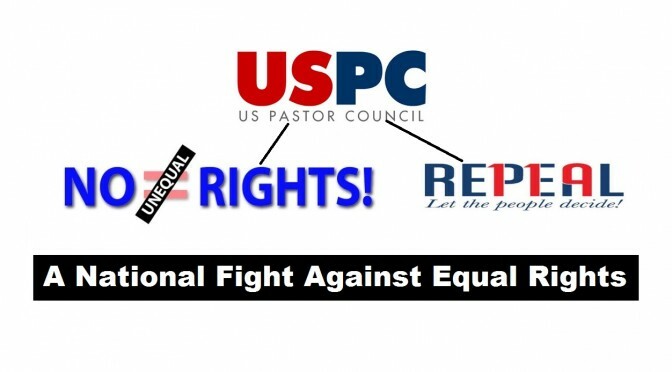 Opponents of Houston’s equal rights ordinance dropped their request for a temporary injunction Friday that could have triggered a repeal referendum this November. Now, their lawsuit against the city is scheduled to be heard Jan. 19, 2015, a trial date ordinance opponents called “expedited” and among the reasons they agreed to withdraw the request. For the city, though, the withdrawal marks a victory in what could be a lengthy legal battle. The injunction sought by the ordinance foes would have forced City Secretary Anna Russell to certify their petition and sent the issue to an emergency city council vote in order to get the repeal referendum on the November ballot. 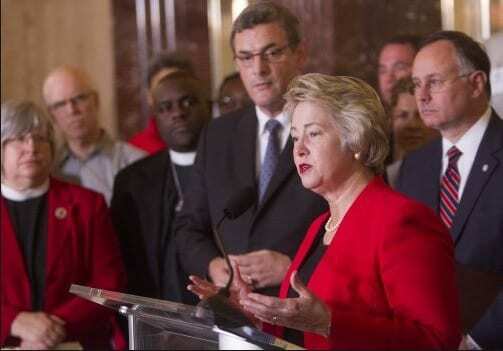 The group of conservative pastors and activists was also asking the city to suspend enforcement of the ordinance, though Mayor Annise Parker had already agreed to do so until a ruling is issued. The expeditious trial date is welcome by supporters and opponents, because in the case of HERO, all parties want answers as soon as we can get them. 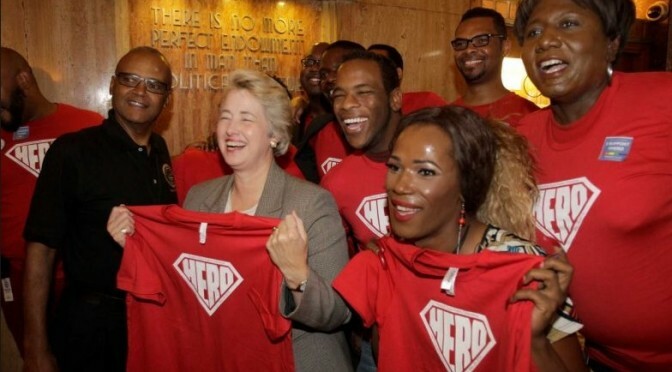 By Parker’s order, the Houston Equal Rights Ordinance is still not in effect because of the anticipated legal drama, and the longer we wait to enact the law is the longer that Houstonians have to endure city-sanctioned discrimination. But at least for now, both sides can plan their actions accordingly, knowing that they do not have to wage an aggressive ballot campaign for this November. However, there is still a possibility that the signatures could be ruled valid and HERO would then come up for a referendum in 2015… a scenario that many municipal candidates are not excited about. Many have debated on which year would be best to have a HERO referendum, and depending on the circumstances it could be won or lost in either 2014 or 2015. The 2014 ballot would yield higher turnout than the municipal-only contest next year. But given that it’s solely a City of Houston measure, supporters of HERO are cautious, but confident they could win in any scenario. After all, this is the same electorate that supported Mayor Parker in three mayoral elections (nine if you count back to her Council Member days), even after enacting a similar non discrimination Executive Order in 2010. Any way you see it, Houston voters have shown that they support the principles of equality and fairness, which is unlikely to change. Off the Kuff and Texpatriate have more. 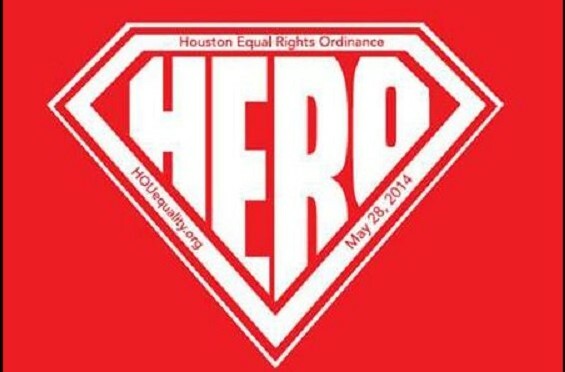 After years of planning, a slew of phone calls, repeated trips to City Hall, organizer trainings, exhaustive blog posts and countless closed-door meetings with Council Members, citizens finally found a voice when the Houston Equal Rights Ordinance was passed on May 28th. The new law instituted an historic new level of protections for all Houstonians, and for many was a cause for celebration. But today, after being dealt what in their view was an affront to their values, the opposition to HERO struck back, turning in 50,000 petition signatures to City Hall (pending verification by City Secretary Anna Russell). If at least 17,000 of them are verified as residents of the city, then the Houston Equal Rights Ordinance will be placed on the November ballot, and could even be voted down. Supporters of HERO will have to work even harder to thwart the litany of lies, and convince voters to keep this critical law on the books. The referendum is going to be hard work, but it could actually end up being very good, not only for Houston Progressives, but for Progressive causes across Texas. Here are the reasons why. For starters, Houston is ready for the referendum. Long before a non-discrimination bill came before Council, supporting organizations have been preparing for the possibility of a city-wide vote. The campaign to defend the ordinance is well under way, and has already engaged a broad coalition of organizations and elected officials. 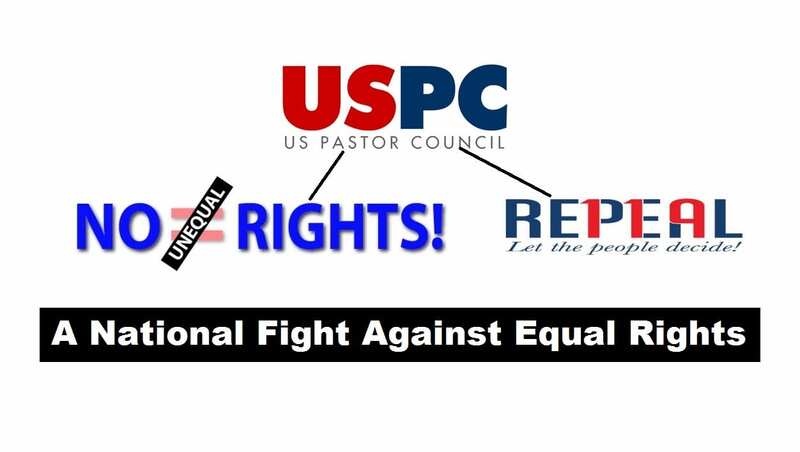 You can learn more about the Equal Rights Committee at the Equal Rights Houston website. Secondly, as a city-specific referendum, the math is on HERO’s side. The opposition is asking voters to repeal a law that their elected representatives passed. In general, that’s tough to do. But that vote also occurs only in the city of Houston… the same electorate that sent Mayor Parker to office three times in a row. In every past election, similar argument’s about Parker’s “evil LGBT agenda” have been waged against her, and they have never won. After seeing Houstonians through a recession, and 4 years of record job growth and prosperity that other cities in the nation only dream of, are Houston voters really going to get enraged enough to vote this down? As Houstonians like the talented Christopher Busby prove, Equal Rights should NOT be a Democratic or a Republican issue. Sad though it is, the fight for HERO has become politicized, with most of the opposition’s coalition being Republican (again, not all but most). Because of this, a referendum will likely serve as a motivator for Democrats to vote in Houston and Harris County. It could even stand to boost turnout for Democratic candidates. Again as mentioned in the above, this is specifically the city of Houston, whose electorate has already proven that they vote on the Progressive side. This assumption could be wrong, but barring some smoking gun to move the issue, it’s not likely. Giving Houston’s Democrats another big reason to get out the vote is sure to have statewide implications. Like the childhood legend of monsters under the bed, fear dissipates when mom or dad flips the light on. HERO has been brought to light, and there’s NOTHING scary about it. There’s still a possibility that the petitions could be invalidated, but for now, it’s time to plan as though the referendum is going on. HERO needs some heroes again, and I strongly suspect that they are on the way.